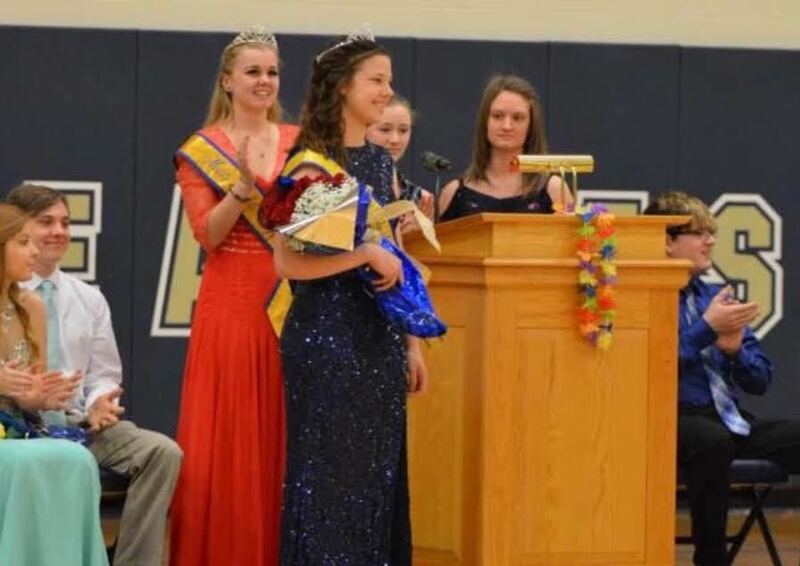 Spending the football season with senior Charlee Marshall helped the newly crowned Miss BEA decide the kind of person she wants to be for the school: someone who constantly has a positive influence on others and works through the ups and downs in life. Marshall, a former Miss BEA, was the school’s first female football player; junior Kaleigh Cunningham was the team’s manager and newest Miss BEA, crowed in early May. "I know Charlee made a really big impact, so I'd love to make an impact like that," Cunningham said. “You’re getting chosen by your class to represent your school and it’s something really special,” she said. Nerves set in when she walked across the stage to give her speech, but as soon as she spoke, the nerves subsided.